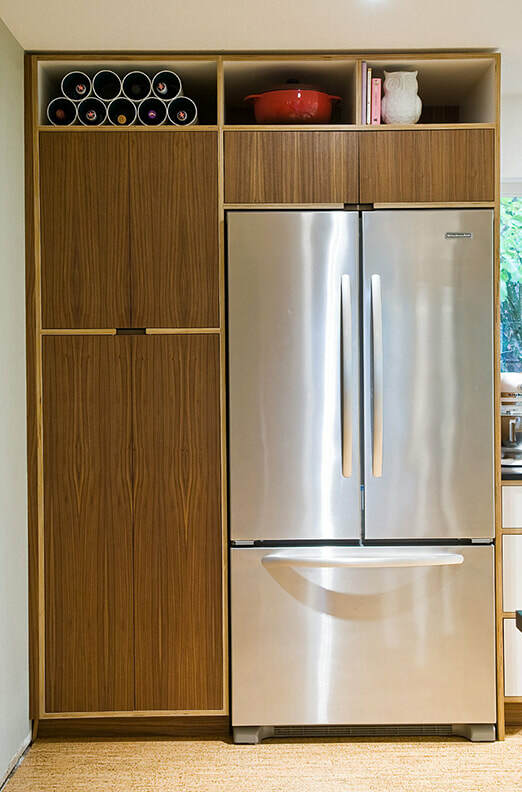 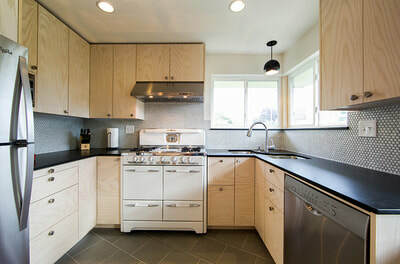 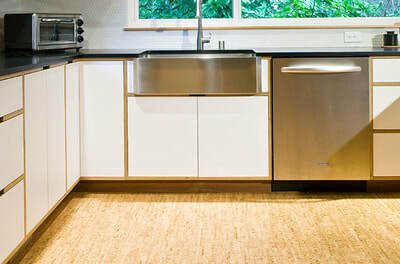 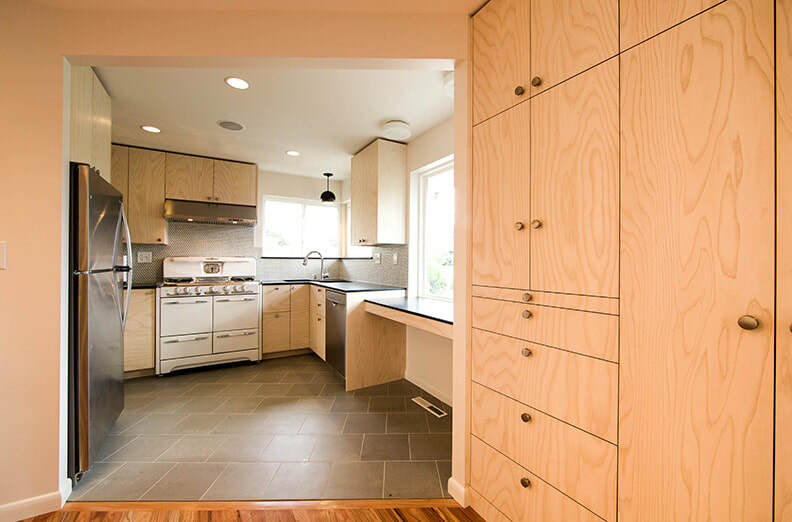 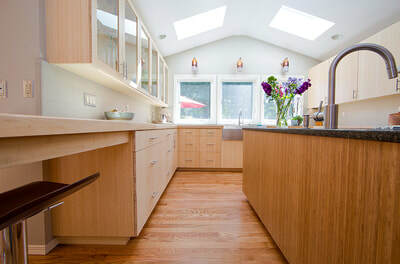 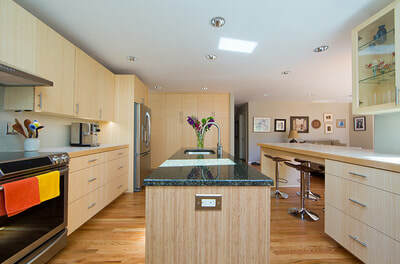 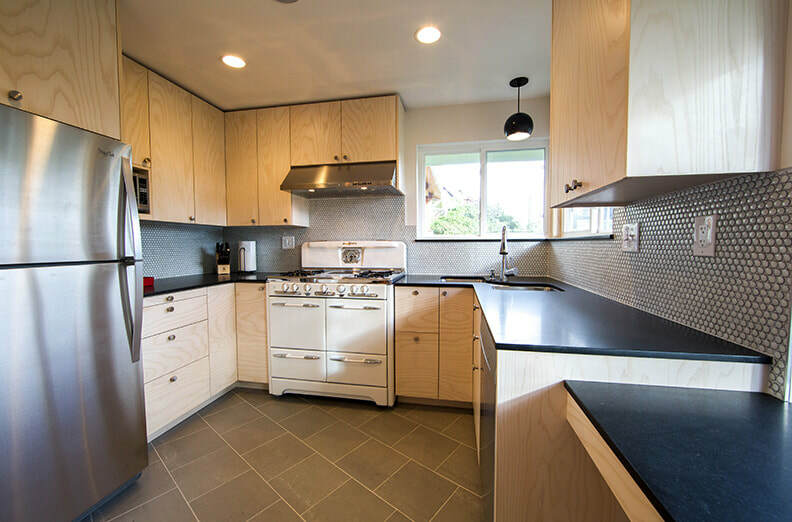 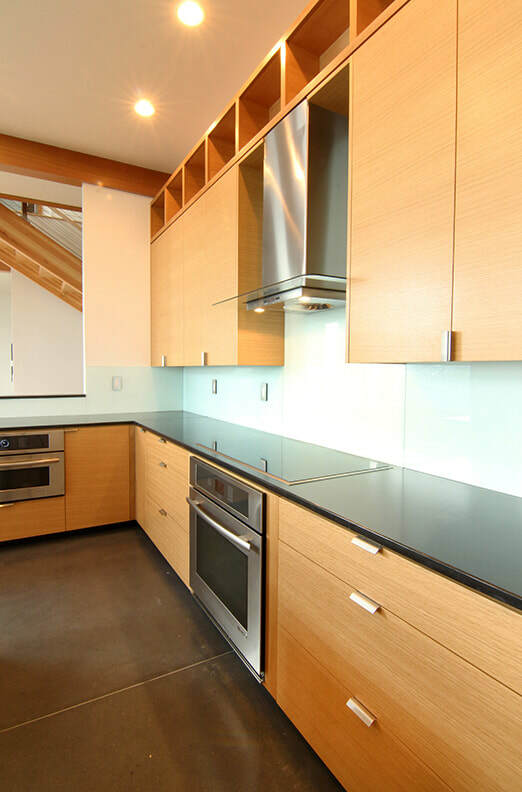 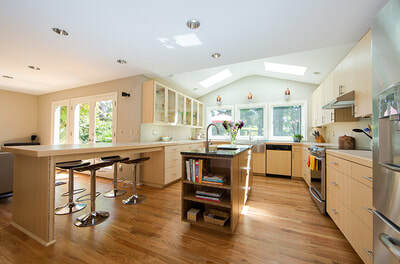 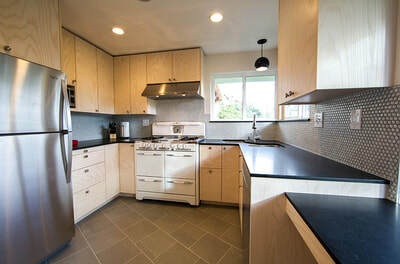 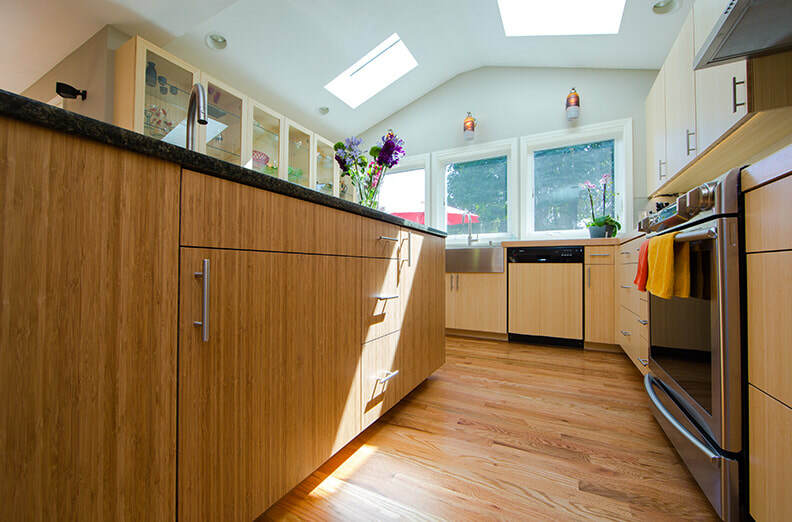 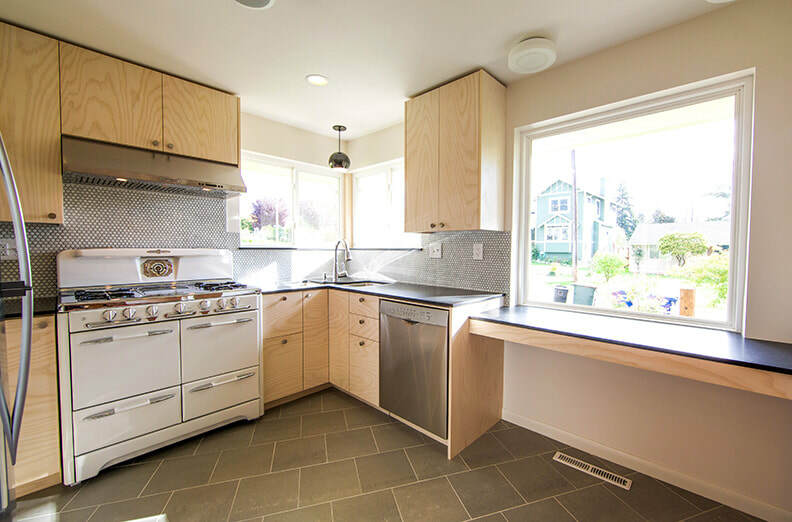 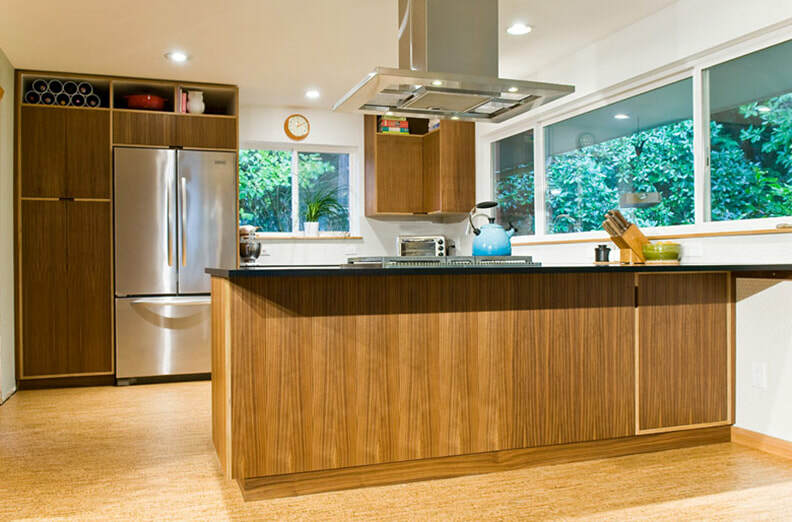 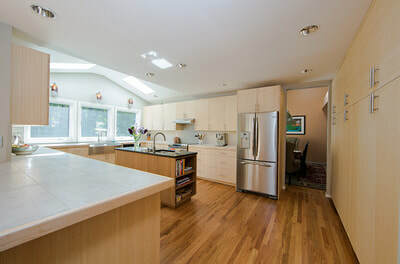 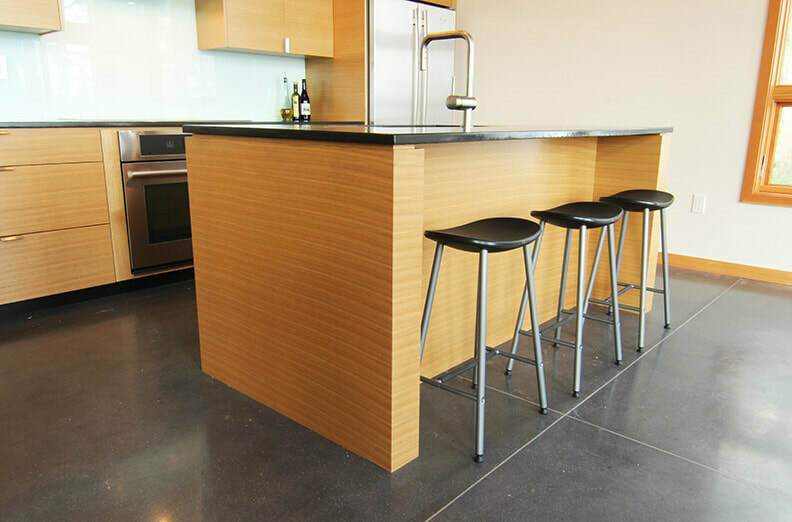 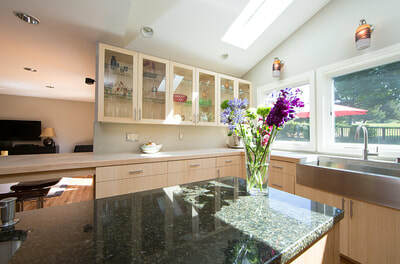 This large kitchen shows off a streamlined appearance. 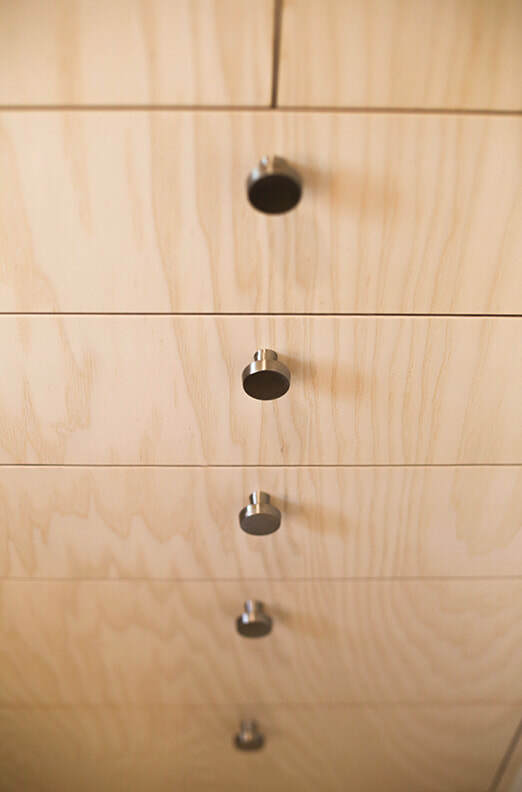 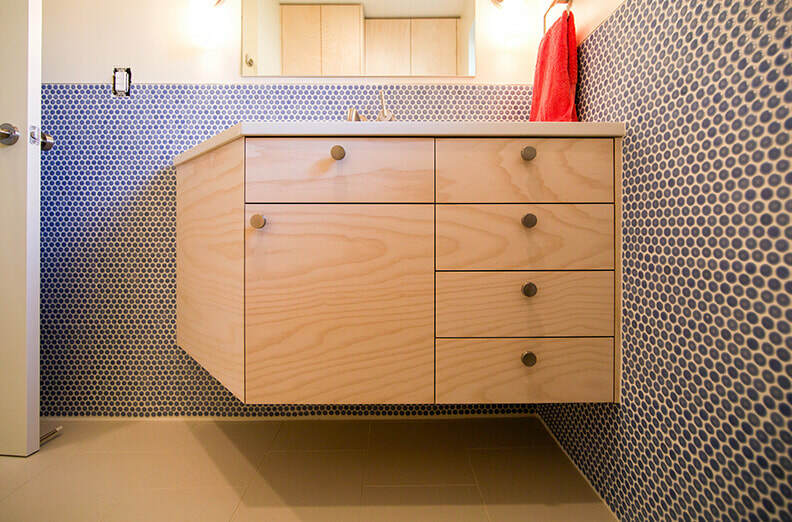 The series of drawers ensures that the design is not cluttered. 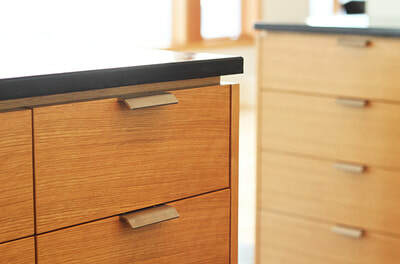 Smooth fronts also lend to the modern look. 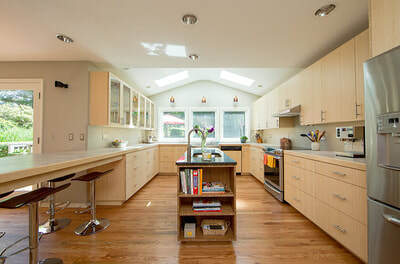 This kitchen is just fun! 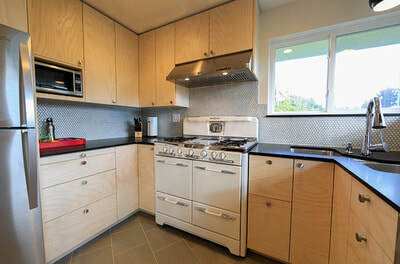 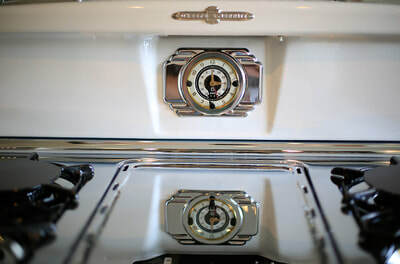 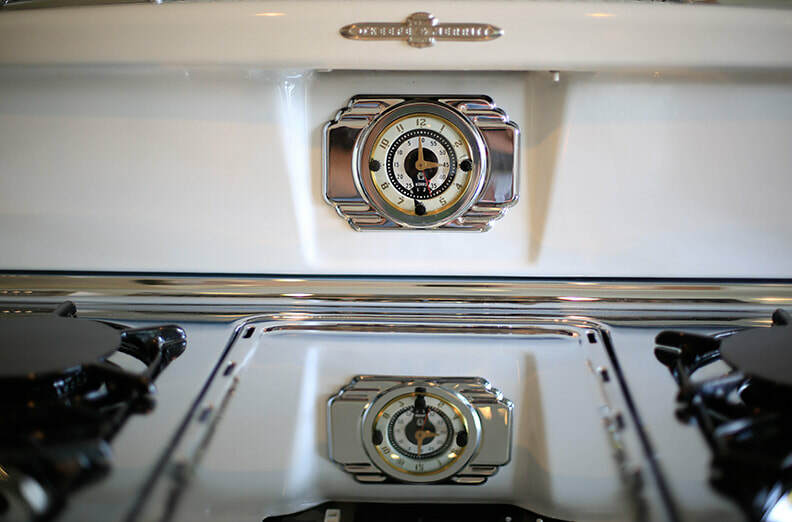 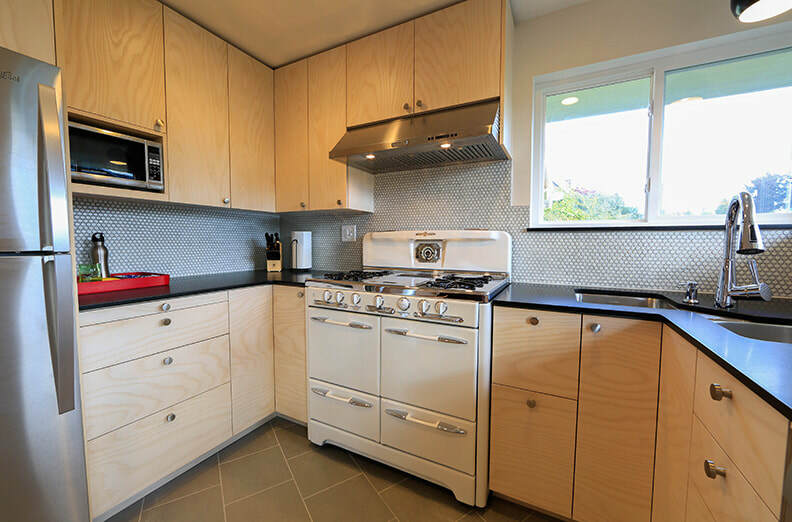 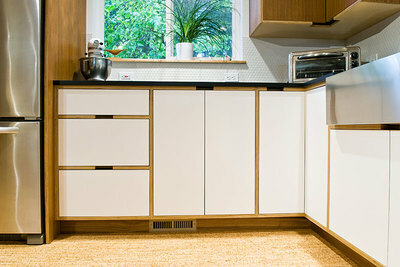 The retro range really pops and the cabinets have a character all their own. 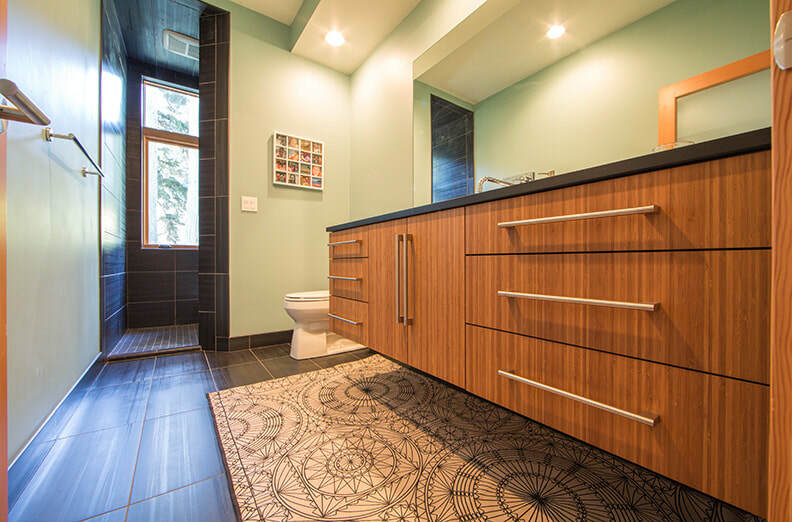 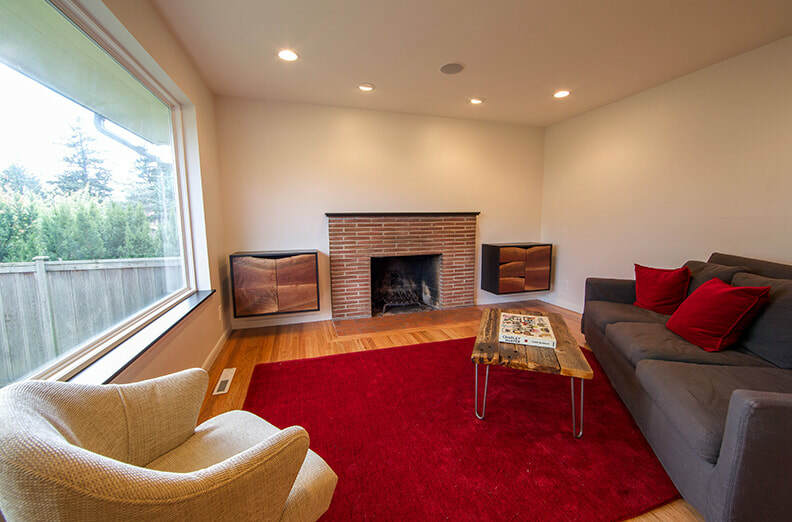 The penny tile doesn't draw too much attention buts adds some wonderful color. 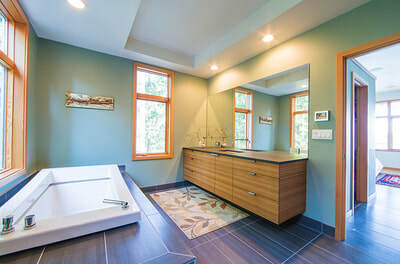 The beauty of custom is that you can achieve a look that is unique. 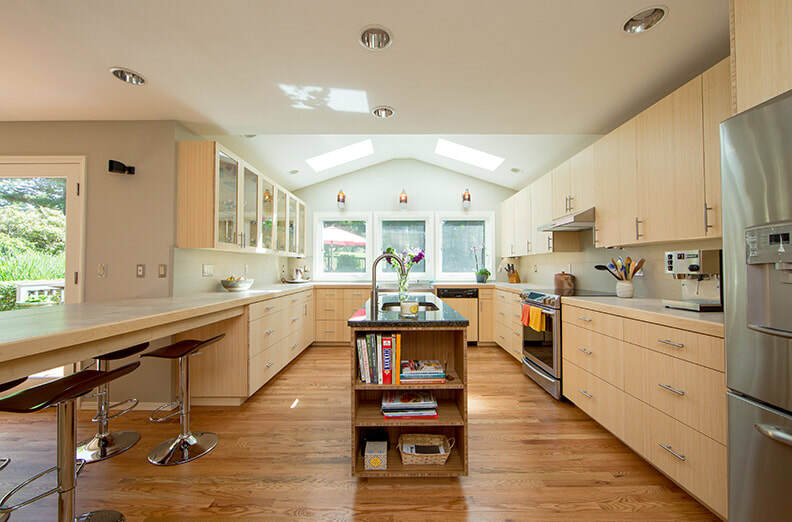 This modern space is light and bright! 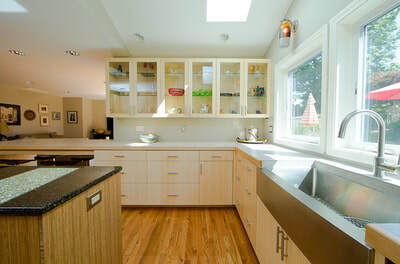 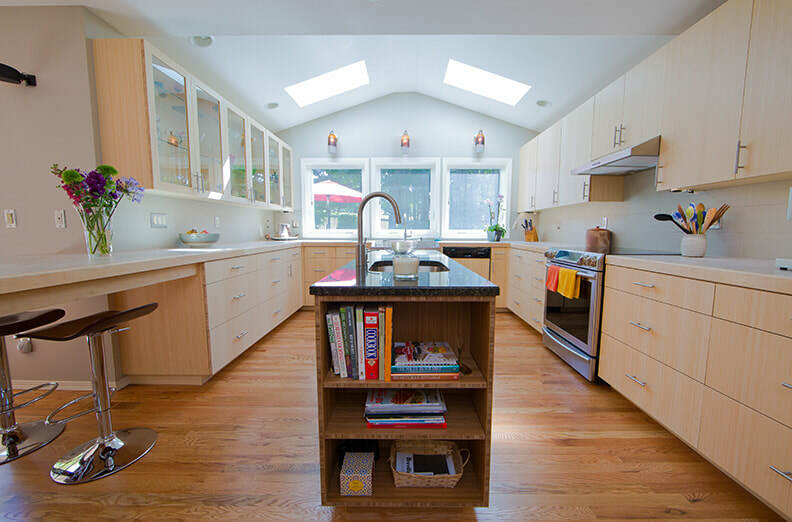 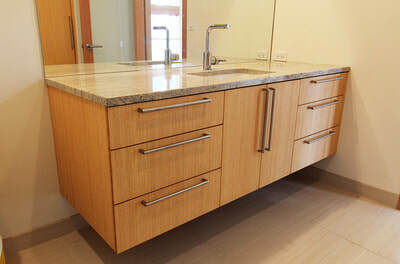 The glass front cabinets display dish collections and the center island holds cookbooks. 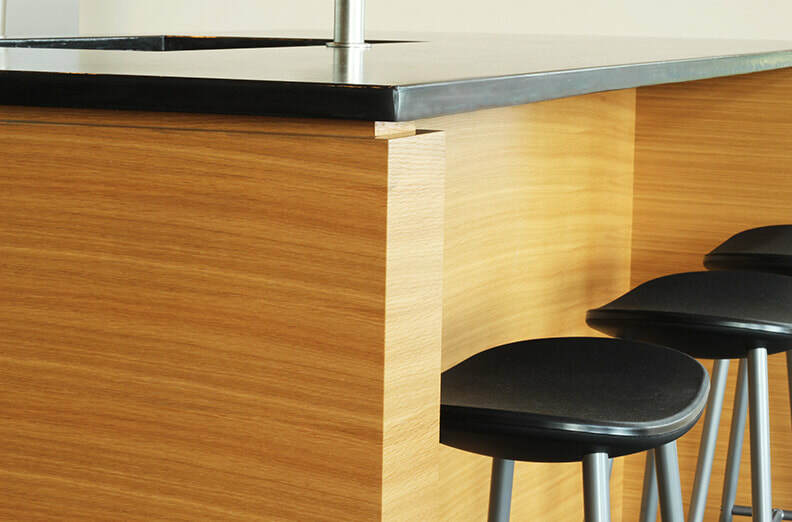 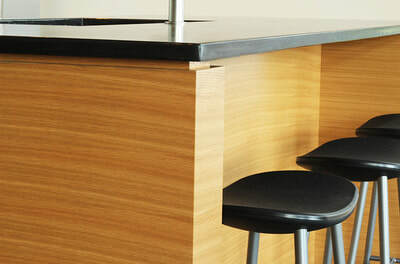 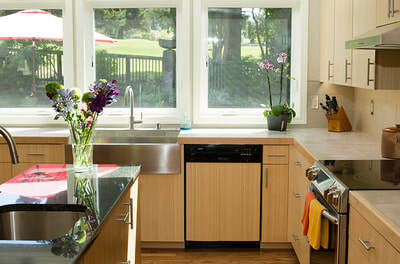 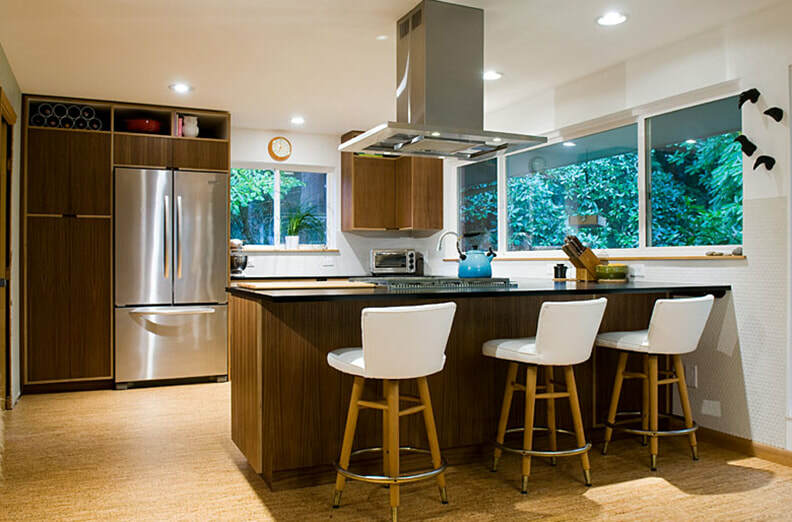 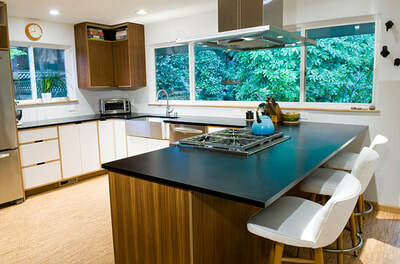 The eat in bar with seating on both sides makes a great pace for gathering right in the kitchen. 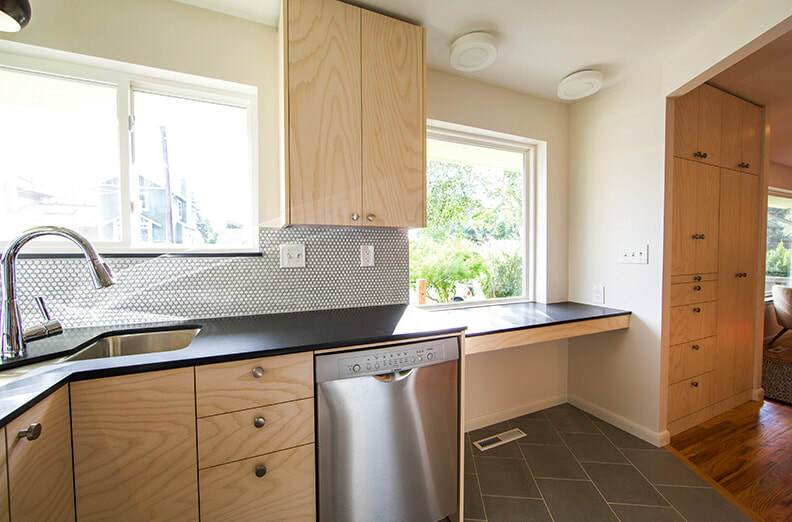 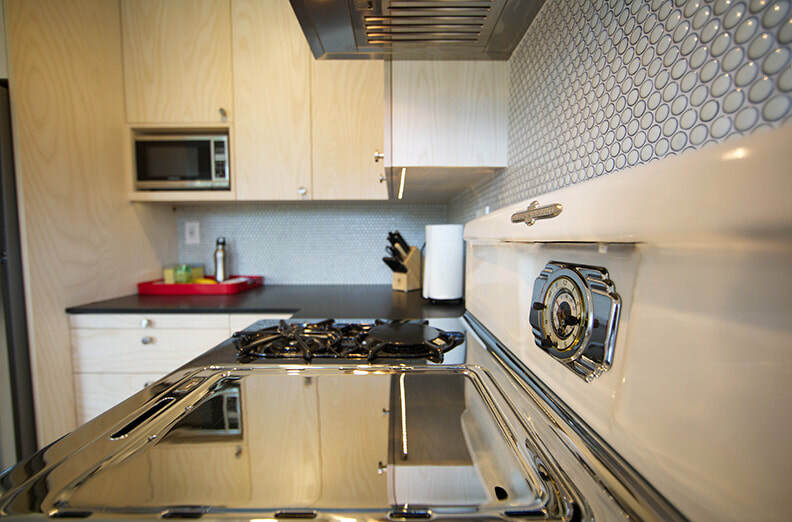 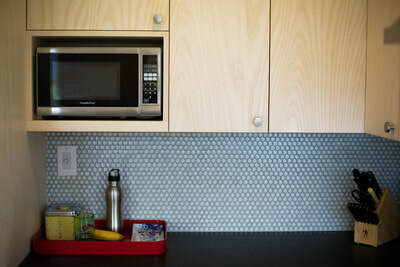 We love the modern vibe of this compact kitchen. 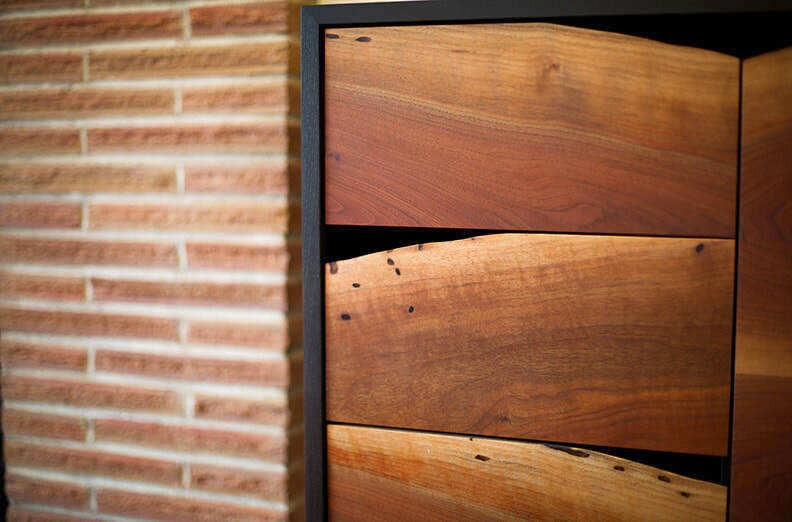 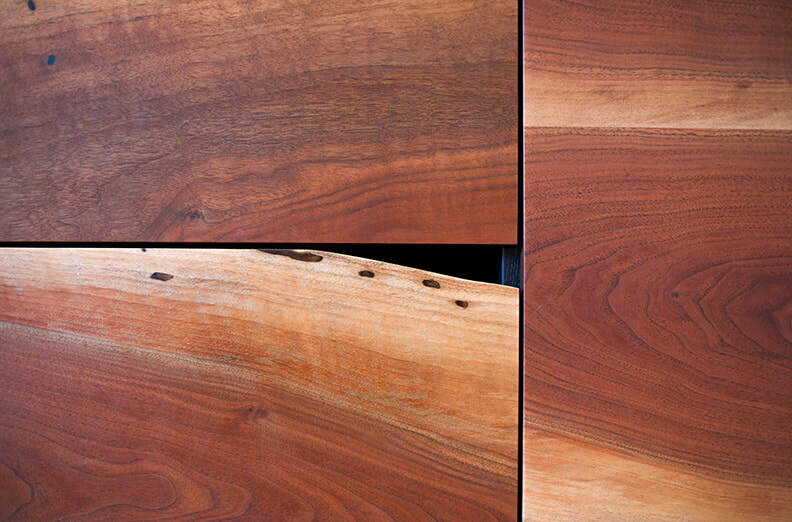 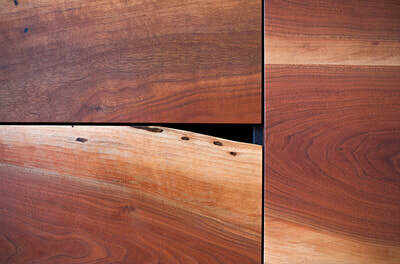 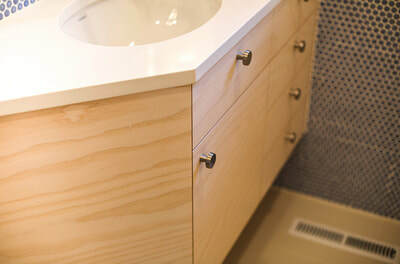 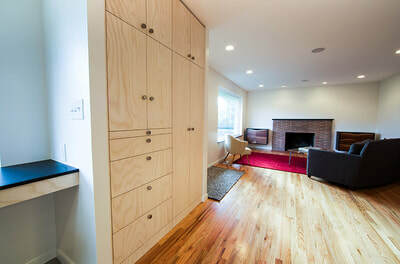 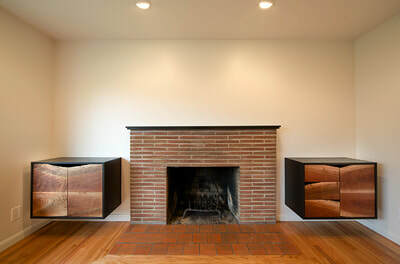 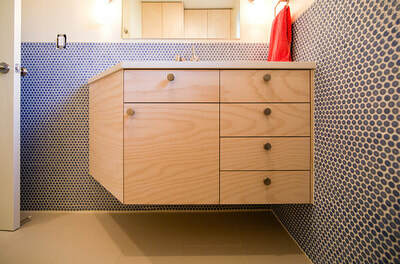 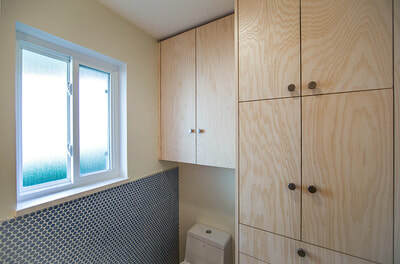 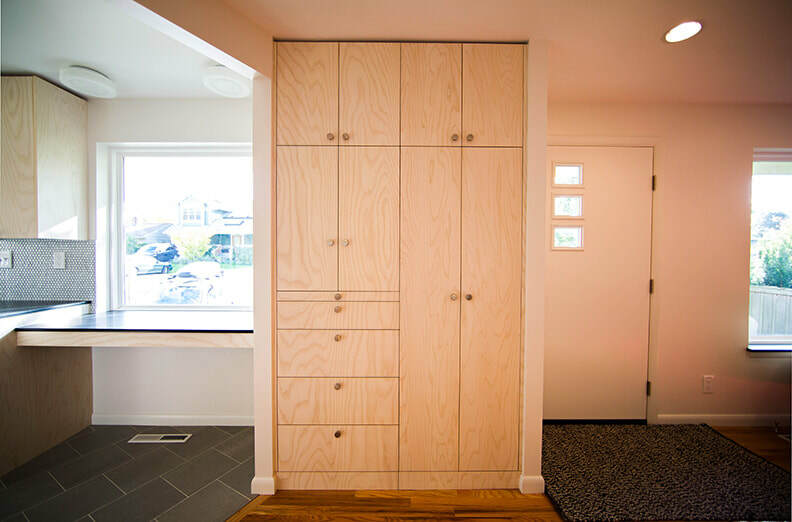 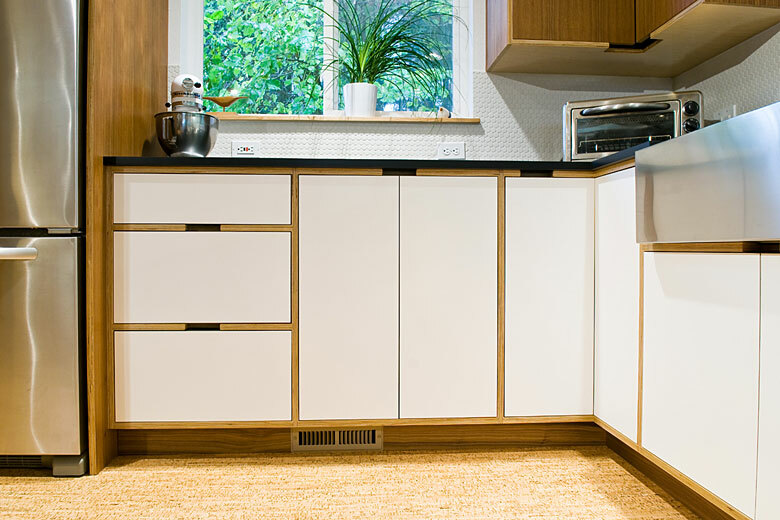 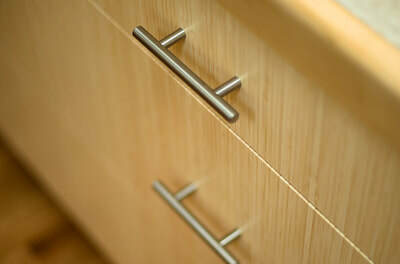 Exposing the grain of the cabinet boxes is a delightful design element. 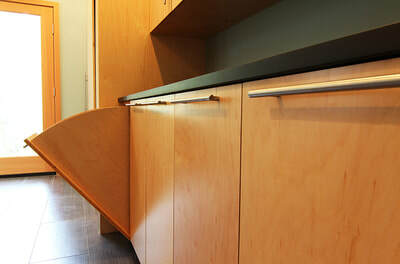 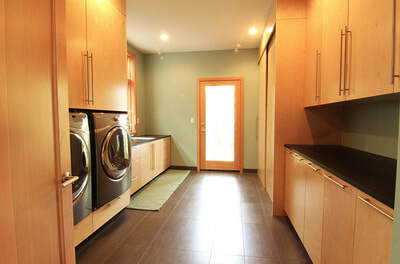 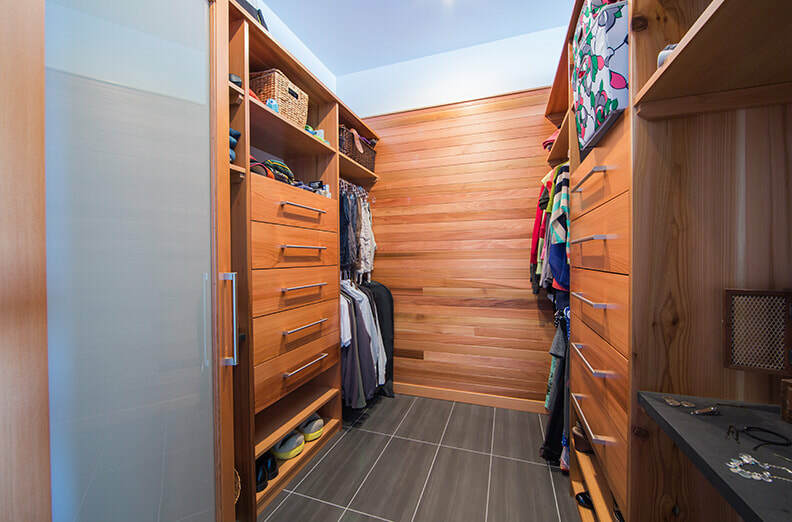 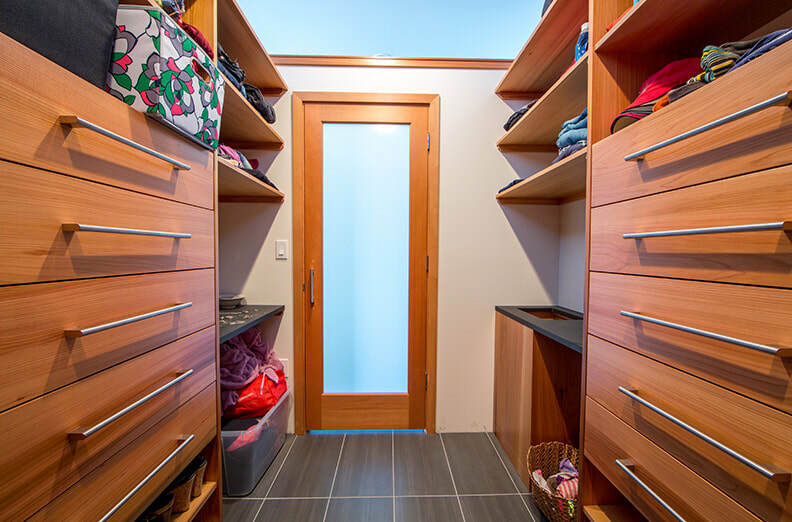 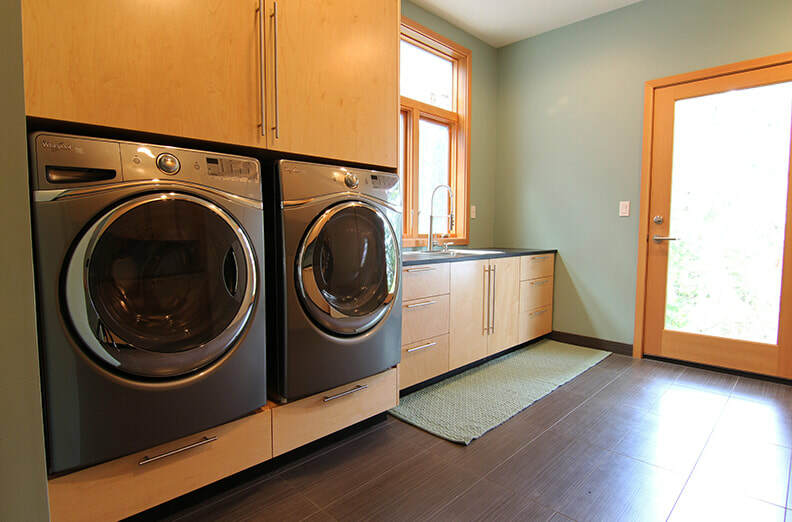 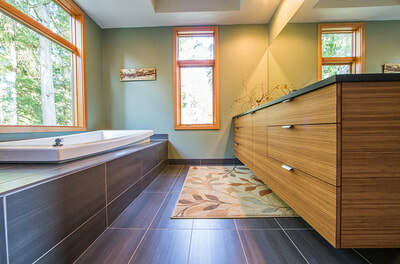 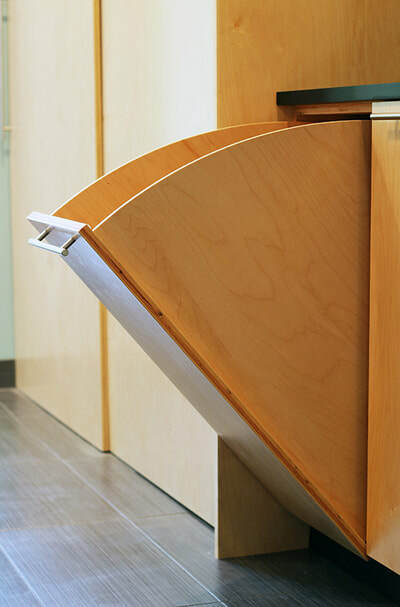 Door fronts are designed to function without hardware. 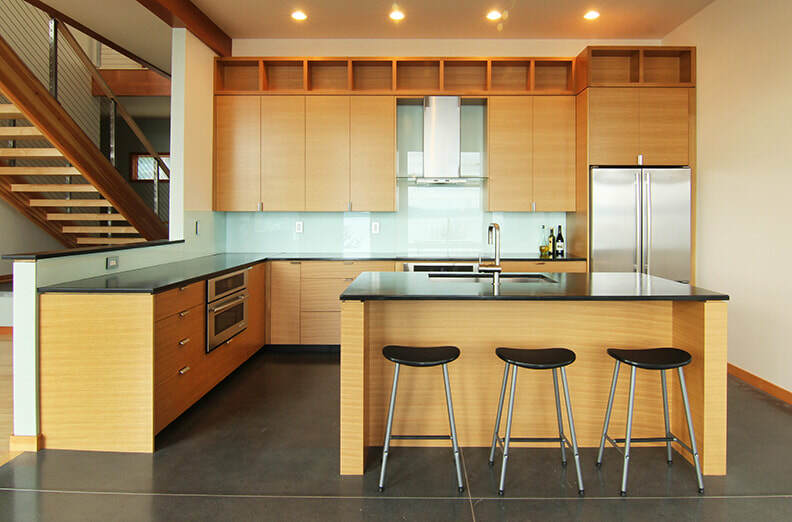 Hip and fun describe this modern kitchen. Open shelving is a great way to display cookbooks and treasures. 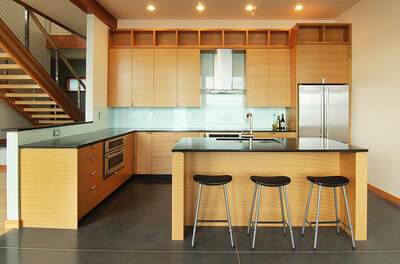 This modern minimalist style is a winner. 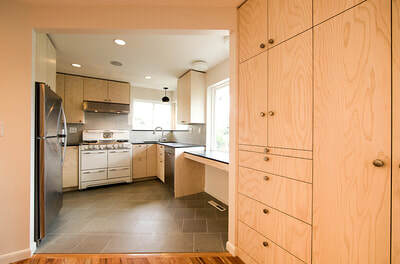 With a home nestled in the woods the kitchen called for a natural look. 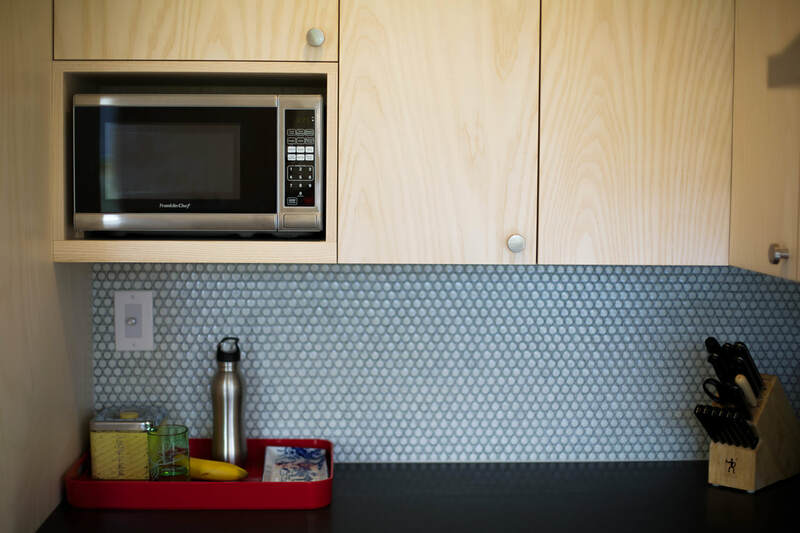 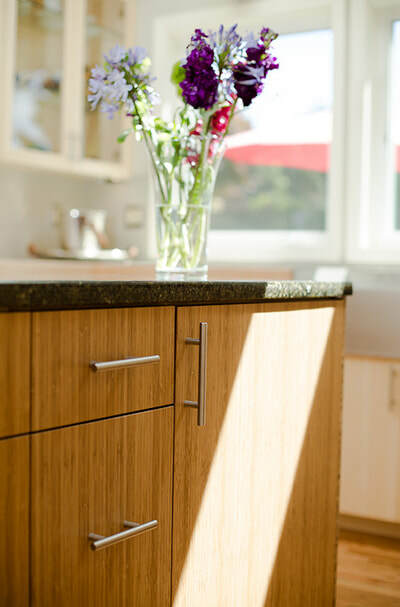 This modern space also includes beautiful display boxes at the top of the cabinets. 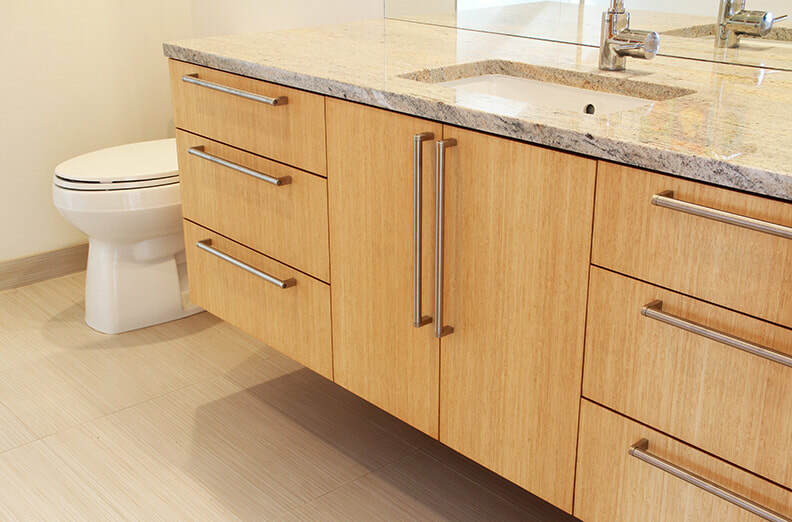 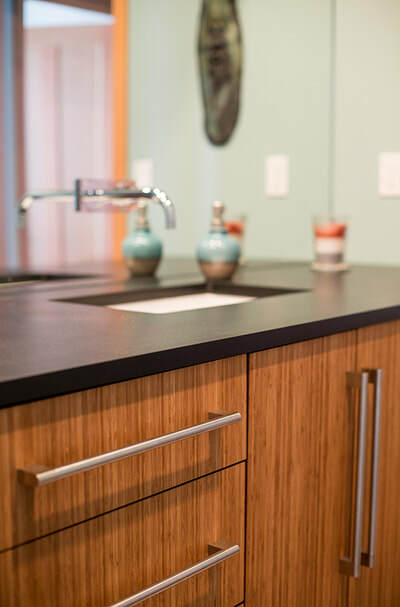 Modern elegance requires beautiful materials perfectly designed. This space is inspiring with it's long lines and use of wood tone contrast to create some drama.